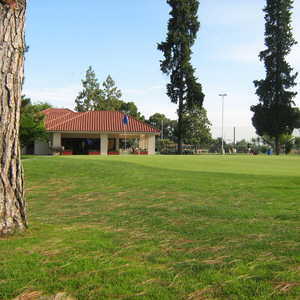 The 18-hole Airways Municipal Golf Course in Fresno, CA is a public golf course that opened in 1952. Airways Municipal Golf Course measures 5286 yards from the longest tees and has a slope rating of 110 and a 67.9 USGA rating. The course features 2 sets of tees for different skill levels. This course doesn't pretend to be anything it's not. Fairways are very poor but greens have been healthy and lush all four times I've played here. Flat, non challenging greens that roll true. Very little break from anywhere. Great course for beginners, and a fun "scoring" course for those with lower handicaps. Great staff and food too. okay yeah so it's a short course 60 hundred yards so why there's lots of trees yeah there's a lot of dirt patches so what there's plenty of Fairway it's not an easy course all these reviews are stupid. OK, so it's not much. It was a short course with old equipment; it's shorter now. 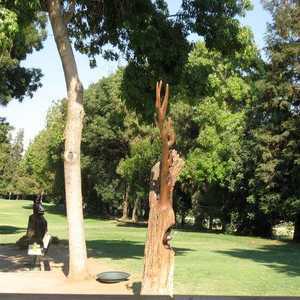 But with all the trees you'd better hit it straight and the greens are tiny, so you'll want your wedge play to be on. Greens are usually just fine for putting, maybe a bit slow. You should go away happy, having made a birdie or two. Want to make sure it's a good day? Have yourself a hearty lunch. Airways makes a good sandwich! 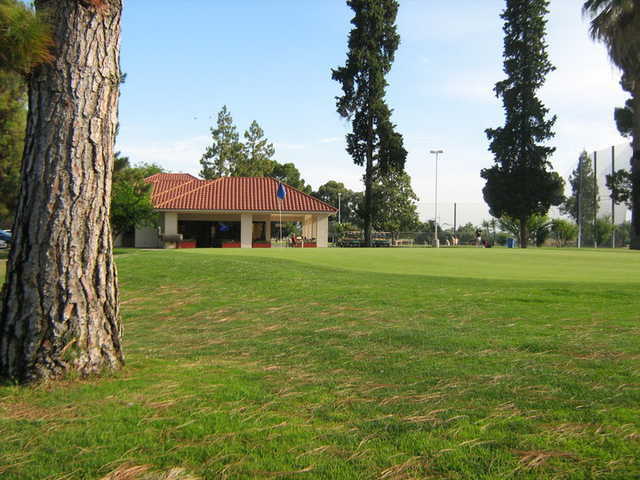 I recently moved to the Fresno Area and as a golfer I started to play the local public courses. My first course experience in the area was Airways. The course is poorly maintained and there's lots of areas in the fairway that is dry with no grass. It's very sad that the municipal leadership will not invest in this course, the layout favors new players and could be a very attractive course for beginners. If you are a mid handicap player you will not be challenged with this course. Very Flat course, course defense are the multiple tall trees thru out. Greens are in ok shape however no challenge. For $25.00 with a cart you pretty much are paying for what you get. City leaders should invest in getting this course back up in shape, it will be a gold mine if they do. Located next to the Airport is a plus.